Phalaenopsis orchid also called as moth orchid, is part of the epiphytic orchids that belong to the genus Phalaenopsis. These plants are common in tropical Asia, where is popular for their colored flowers. These orchids may come in various colors and sizes. Some are spotted, striped, blotched, and mottled. Others may have dull white color or a mixture of colors. Their plant and flower size may differ depending on their origins. The leaves of these plants are quite rounded and fleshy. Often, they are also mottled. If you want to find out how to grow Phalaenopsis Orchid, then you are on the right track! Mix around four parts of peat moss, one part of perlite, three parts of sphagnum moss, and one part of mycorrhizal fungi to make a soilless and well-draining material. That way, this will allow the seeds to develop properly. Put the soilless medium to a planting pot. Make sure it is about 4 inches with two holes of ¼-inch sizes under the pot to make sure of proper drainage. Place the container under average room temperature with running water until you will observe it flowing from the holes. Put the pot in a sink for about 10 minutes to let the residual water to drain from the medium. Combine the orchid seeds with a half cup of fine sand. Empty the mixture into a pepper or salt bottle with holes big enough to hold the small seeds. Add the seed and sand mixture equally over the moistened part of the medium. Put the seeds in an area that allows filtered sunlight to pass for at least five hours per day. Water the seeds as frequently as possible to keep the medium slightly damped. 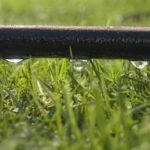 You may offer a half cup of water every time you try to irrigate it. Transfer the seedlings to 6 inches individual containers when they germinate to about 8 inches. Load up the pots with the mixture of sphagnum moss, peat moss, perlite, loam, redwood bark, and mycorrhizal fungi. Then, you may plant the seeds at similar depths as they developed in their old container. Phalaenopsis tend to thrive in places where there is little light, including your east window and southern and western windows that offer shade. They do not grow successfully in direct exposure to sunlight because they will burn so quickly. Also, they do not survive under most plants’ light requirements. You will notice a fully grown phalaenopsis when they have dark green leaves above them and smudges of burgundy or red on their undersides. Phalaenopsis during their active growth period is a hot house plant. In fact, the temperature of this plant reaches up to 85 degrees. However, they can still survive at room temperature of up to 70 degrees. Remember that the higher the temperature reaches, the more the plants need to maintain humidity. But, they also develop well in day and night temperatures. Phalaenopsis, called a monopodial orchid, grows from just one stem. It does not come with outsized pseudo bulbs that store water. Mostly, you can find them on sympodial types of orchids. But, rest assured, their leaves can still save enough water. The plant also has less tolerance when it comes to the drought season. When the growing season starts, you need to water the orchid almost every week when the exposed roots become silvery white. Also, remember to keep your container slightly moist. Then, for the flowering season, you have to go back to water the plants every other week. As the humidity increases, the crucial factor here is to maintain a proper airflow in your plant’s leaves and roots. When the growing season approaches, you have to fertilize your orchids using a mild fertilizer each week. Then, cut back the fertilizer every month when the flowering season and winter enter. Other growers prefer giving their plants blooming fertilizer in October and September to stimulate the flower spike. The Phalaenopsis orchid is more pest-free than other genera. However, experts still suggest a controlled, regular, and preventive schedule that can avoid damages of insects, mites, scale, thrips, bugs, ants, aphids, etc. Worst of all, these insects may carry a virus that can harm the plant. While you can use prophylactic spraying, you can also try routines that can begin the prevention of these plant diseases. Some pesticides may fight the first signs of damage. Other chemicals can also come with active modes that can prevent the progress of the resistance of these insects. Are Phalaenopsis Orchids Poisonous to Pets? 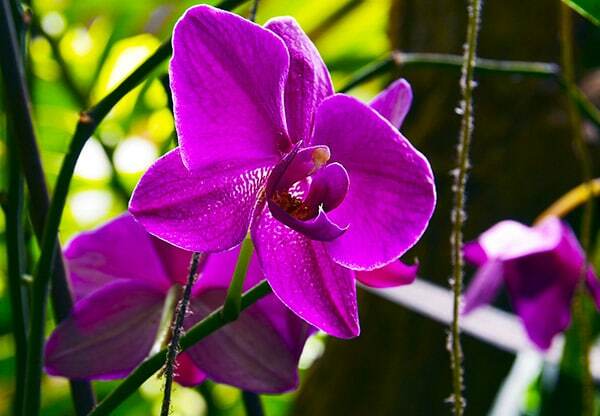 This species of orchids is not poisonous to dogs and cats, and they can coexist well. Fertilizer and pesticide can cause danger to the pets. The pets go for the leaves containing residue of toxic chemicals. All one needs to do is; either keep the plant in a spot out of the pet’s reach or keep a keen eye on the pet. A perennial plant is a plant that lives for more than two years. Phalaenopsis orchids are perennials. When well taken care of they take an extended period and rebloom. Phalaenopsis are known for the ease of growth during all seasons of the year. They can be grown anywhere with much less maintenance needed. I hope you found this article enlightening and fun to read. Please feel free to share this article with your friends and those who might be interested in growing Phalaenopsis orchids. Wonderful article! Informative! Have had trouble finding clear, concise info. Thanks so much for your help! If you bought some think that is supposed to be orchid seeds and they germinated under the conditions described on this page you are probably growing petunias!